Lost, perhaps, in this upcoming election for City Council is the fact that two incumbents have decided not to run. Imagine, you are a sitting councilmember and you decide … enough … no more … ain’t gonna run. Oh, there have been councilmembers in the past who have not sought re-election, and have even taken a more dramatic move by quitting in mid-term. But for two sitting councilmembers to call it quits, well, that’s something worth talking about. Being a Hamtramck councilmember is no high-paying job. The salary is a little over $3,000 a year. Not bad if you need help on paying your mortgage, but remember, there are endless meetings and hours and hours spent on dealing with the public. In short, it’s a lot of work – if you are conscientious about the job – for little pay. 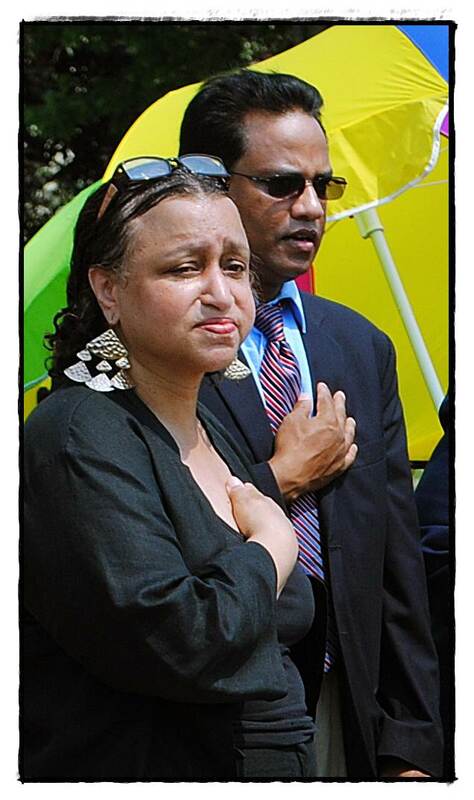 So, why did Councilmembers Shahab Ahmed and Catrina Stackpoole decide not to seek another term? Let’s start with the relatively-speaking newcomer Councilmember Stackpoole, who will be finishing up her first — yes first — term come this Dec. 31. For Stackpoole, it’s a matter of being able to keep her non-profit agency up and running. It’s actually more than just a store. The business also offers free clothing and other basic items to those in emergency – and dire — situations. What she really didn’t want to talk about was her increasing frustration – a frustration that she openly shows at council meetings – of the behavior and comments made by some fellow councilmembers. 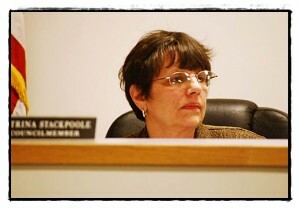 In other words, Stackpoole doesn’t suffer fools easily, or at least those she perceives as fools. And no, we’re not going to name names. “It’s a hard, thankless job,” she said of the endless hours of meetings and other obligations an elected official must endure. But despite the obvious pent up anger over the antics of other elected officials, Stackpoole, a social worker by training and education, said she would consider a return to public office. “If I feel I was needed. … There’d have to be a good reason,” she offered. OK, we’ll guess that’s not anytime soon. As for Shahab Ahmed, his story is worthy of a lengthy New York Times magazine piece. To put it simply, Ahmed is a major historical figure in Hamtramck. In 2003, he was the first-ever person born in Bangladesh to be elected to an American political office. It’s a milestone that is mind-boggling just to think about. Consider that Hamtramck has long been a city dominated by Polish-Americans, and you have a story that defies all local political theories and suppositions. Heck, it’s been nearly impossible for African-Americans to win elected office in this city. Just imagine the hurdles facing an immigrant from Bangladesh. We’re going to look into Ahmed’s rise and, to some degree, fall, in the near future. But suffice it to say, it’s a page-turner. Ahmed came into the political limelight as part of the former Mayor Gary Zych administration. From that, he defied all odds and won a seat on council. But the last few years have been a slow decline for Ahmed, in terms of political clout. Some political observers have said that Ahmed’s chances of re-election, this time around, were slim to none. Ahmed says he would have won another term, but he has decided that his family comes first. “Right now my focus is my family,” he said. It’s no secret. Ahmed is recently divorced and has two children. He has also been arrested for assaulting his ex-wife, of which no charges were ever pressed. There has been incredible pressure on Ahmed – including veiled threats to his life for being a Muslim – that have taken a toll on him. Ahmed said it’s now time to regroup and allow a new generation to test the field of public office. “I think I should step down to make room for newcomers,” he said.